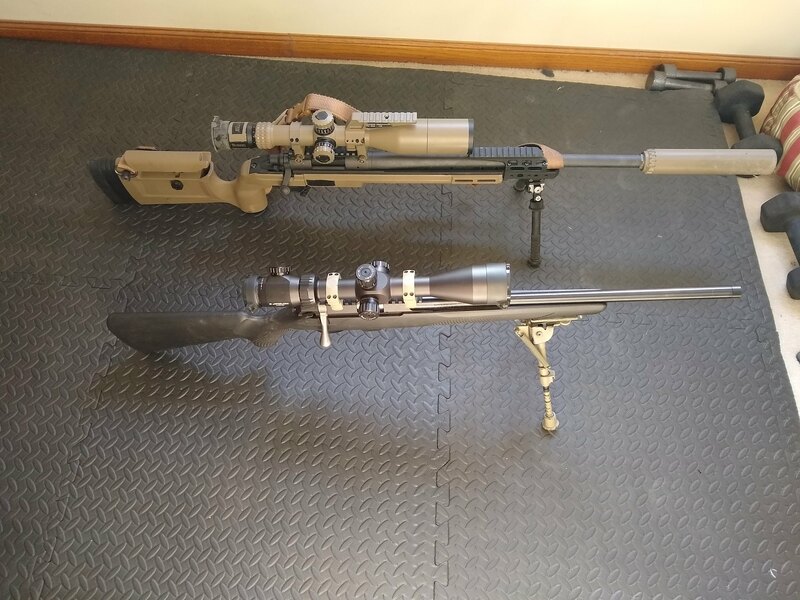 Anyone have recommendations for a lower end 22 optic -- something that parallaxes down to 20 yards is my only real requirement....and good tracking turrets. I fully understand you get what you pay for...just not needing much for this particular rifle. I have the Athlon Argos BTR 6-24x on my Tikka T1x ... it parallaxes down to 10yds ... my requirements were parallax below 25yds and ability to zero and hold zero ... and this scope meets those requirements. I did not require "good tracking turrets" ... I use this scope 95% for dots and 5% for day vermin control and it works well for both. When shooting vermin the critter is the reticle together with my known DOPE. If you want good tracking turrets and low cost, I think of SWFA.